Celebrate the joy of reading by organising special literacy events during National Storytelling Week. It is important to encourage reading especially in young children, as reading plays an important part of any child’s development. 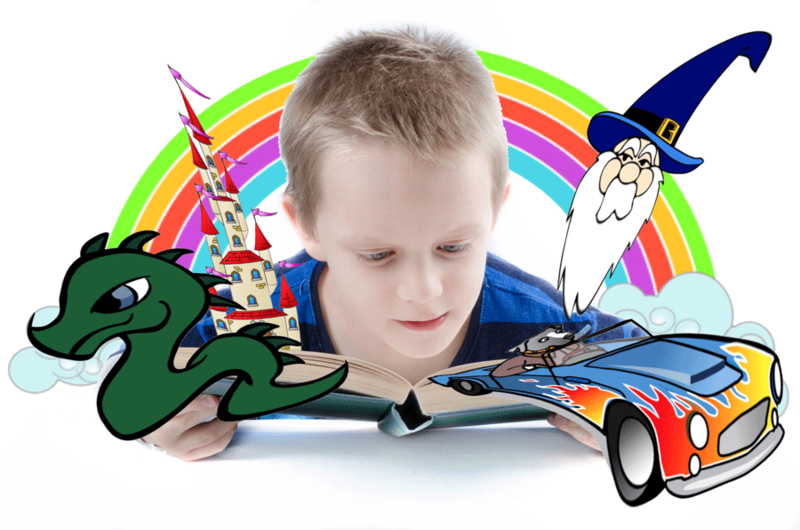 Reading takes children into the wonderful world of fantasy. Fairy Tales help to spark imagination and curiosity. You will remember reading fairy tales as a young child. Fairy Tales usually have a moral that makes sense to pre-schoolers. Children love fairy tales because they are usually silly and bring to life animals and toys. And best of all, reading to young children encourages them to learn to read on their own. Kids get excited about books and continue to read on their own long after the fairy tale years. If you can instil in them a love of reading books at a young age their imagination will grow and they will flourish. Put together your very own story book and publish it to raise funds for your school. Since the beginning of time humans have enjoyed telling stories, the earliest drew images on cave walls to illustrate and tell a story. Ask your pupils to write short stories or write some poems. You can then organise and collate them into a fundraising book. Everyone remembers their favourite book they read as a child. During National Storytelling Week take the opportunity to introduce your children to your favourite childhood book. Remember Winnie The Pooh, read your children one of Winnie’s adventures written by A.A Milne. There is no better way to pass an afternoon than listening to someone narrate one of the most classic children’s stories of all time. Parents should take timeout during the week to read with their young children. Words for Life is a website full of exciting ideas and resources that can be called upon in the encouragement of literacy development. Reading to children helps build vocabulary skills, become better readers and certainly reading to children will help to develop listening skills. Read a bedtime story to your children, they will love the attention and you will create precious family memories. Use our Story Telling Poster Template to create great promotional items. Great for School Book Festivals, Book Sales. Customise online today, download free pdf file for you to print.